Happy Weekend! 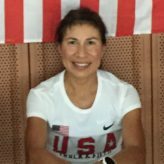 Everyone – please send good vibes to Coach Tina – she’s running like the wind at the NCCWMA (that is the North and Central American and Caribbean Region of World Masters Athletics) Championships this weekend. Saturday morning practices are going to be low key sessions until the start of the next Runner’s Development Program on 09 September. However, the Balanced Running Coaching Cadre will continue to be at Swift-Cantrell Park to support training efforts most Saturday mornings. 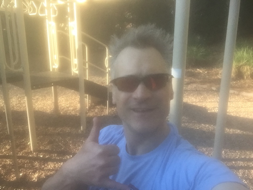 Tomorrow, I will be at Swift-Cantrell at 06:30AM for my workout – you’re welcome to join me. At 07:30AM, I’ll gladly meet any of our athletes for a warm-up and establish a plan for your morning training. For those of you taking it easy, we will also do a comprehensive stretching routine at 08:00AM. Don’t forget, this week is Kennesaw Parks and Rec’s “Program Palooza.” Tomorrow between 10:00AM and 01:00PM stop by the Ben Robertson Community Center to say hi and check out all of the other wonderful Parks & Rec programs.